Recently someone posted a question on Tripadvisor asking for suggestions for a nice family restaurant in Puerto Aventuras. 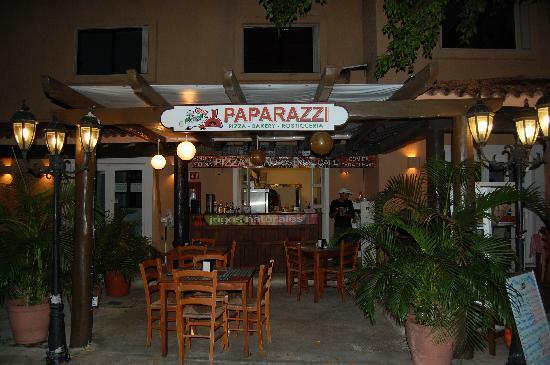 ‘Paparazzi Pizza’ is one amazing family restaurant in Puerto Aventuras. On the menu, you will also find authentic Nepalese pizza, which is baked in a clay oven! Another good restaurant that children would love is ‘Hippo’. The ambience is great and they can cook up any dish that you like! Plus, since it is located on the marina, you can view the dolphins as you pamper your taste buds. Another good option is to take a taxi and head few minutes north of Puerto Aventuras, into Playa del Carmen. Playa del Carmen has a lot of nice family-friendly restaurants to choose from, but if you prefer a more quiet setting, then Puerto Aventuras would be a better bet. You can also go to the restaurant page of TripAdvisor, select your destination and choose something that fits your requirements.